A new unified United States military command for Africa is coming into full operation amid scepticism about US intentions. The creation of Africom is recognition by the US that Africa and security issues on the continent are now a priority. It reflects concerns about tackling Islamist extremism, securing oil supplies, and countering Chinese influence in Africa. The US government says it represents an opportunity to strengthen ties and increase humanitarian work in Africa, and the mission statement of the new command speaks of promoting "a secure African environment in support of US foreign policy". US officials have said Africom does not signal a new grab for Africa, but there are considerable doubts among Africa's 53 countries. Many feel little consultation took place about the role of Africom and half a dozen African counties have shunned approaches from the Pentagon proposing that they might house the command's headquarters. Liberia has expressed an interest, while the US is said to be looking for a willing southern African country, but for the time being Africom's headquarters will remain in Stuttgart in Germany. The only established base is Camp Lemonier in Djibouti in the Horn of Africa, where about 1,800 US troops are stationed. Pacific Command (Pacom), with responsibility for Madagascar, the Seychelles and the Indian Ocean area. The military and political logic for this fractured approach to Africa was becoming increasingly irrelevant. 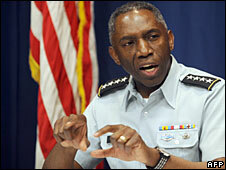 Africom will be headed by a four-star General, William E Ward. 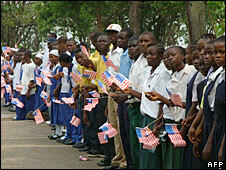 The decision to upgrade Africom has been 10 years in the making, but was formally announced by US President George W Bush in February 2007. Broadly there are three main imperatives driving its establishment as a unified command. The first is the war on terror and fears that poor governance in Africa is allowing al-Qaeda and other militants to use some African countries as a platform for their activities. The main area of concern currently for the US is Somalia, where it claims al-Qaeda operatives have sought shelter and where training may be taking place. The US has launched a number of airborne attacks on suspected al-Qaeda personnel in Somalia without, it must be said, much success. 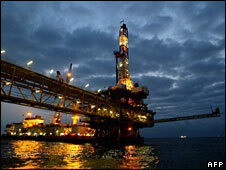 The second role is to secure oil supplies. President Bush said two years ago in his State of the Union address that the US needed to end its dependence on Middle East oil. Africa is the world's primary growing oil market; the US already gets about 20% of it oil supplies from West Africa and the US is committed to increasing its supply of oil from the continent to 25% by 2015. Some of Africa's most abundant oil supplies lie beneath the soil of some of Africa's least stable countries - Sudan, Equatorial Guinea and Angola - or in dangerous places like Nigeria's Niger Delta. As energy supplies become ever more important so too does the need to protect them. The third driving force behind Africom's creation is the need to counter China's growing influence on the continent. African countries have found a ready economic and political partner in Beijing and an ally that does not ask awkward questions about governance standards and corruption. China has prospered in Africa leaving the rest of the world - particularly Western countries - behind. Africom represents part of a new US strategy to engage with Africa. 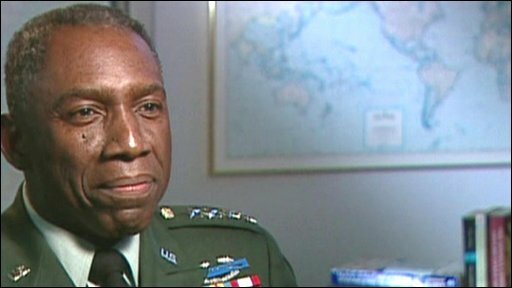 The US government has been careful to point out that the establishment of Africom will not mean any new permanent military base in Africa and says there is no hidden agenda. But such assurances have apparently done little to lower levels of scepticism.